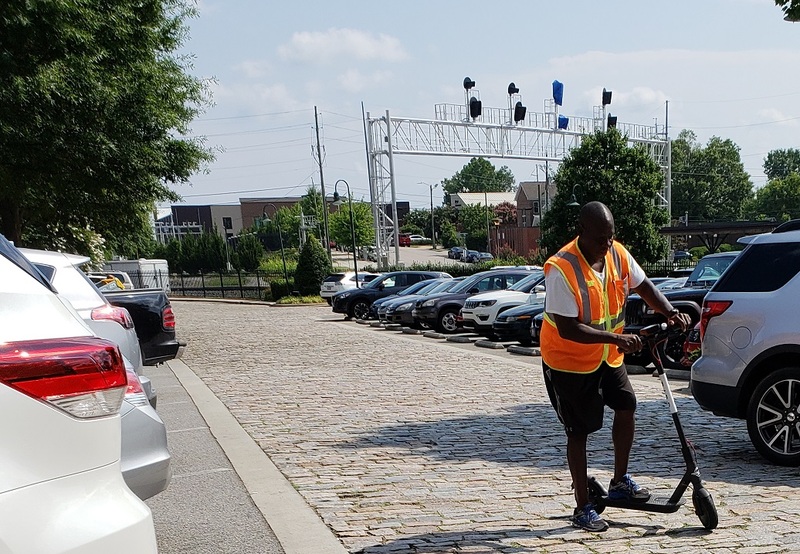 On Wednesday, July 11, 2018, a flock of Bird electric scooters descended upon Raleigh. They were deployed in downtown, Cameron Village and Oberlin. I couldn’t wait to try them out, so I headed downtown, parked by the The Pit, loaded up the Bird app, tracked down a scooter and off I went. As I drove around, I took occasional breaks on the sidewalk at intersections, and nearly everyone passing me asked me questions about the Bird scooters. Of course, that meant I had to write this article to answer those questions. 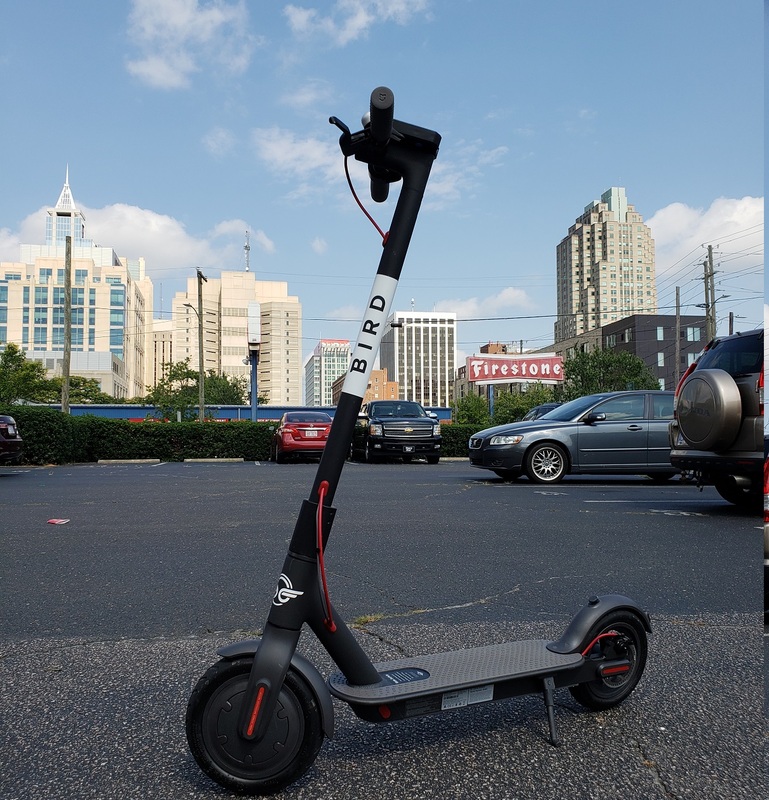 Below is everything you need to know about the Bird scooters in Raleigh! I am very curious about this new dockless scooter sharing system and think they’re pretty neat. Last month I went to Charlotte to give them a try, and later I wrote about Lime Scooters in Charlotte. I think the Lime scooters are bit taller, and the Lime app doesn’t ask for a driver’s license. Otherwise, Lime and Bird scooters are very much alike. 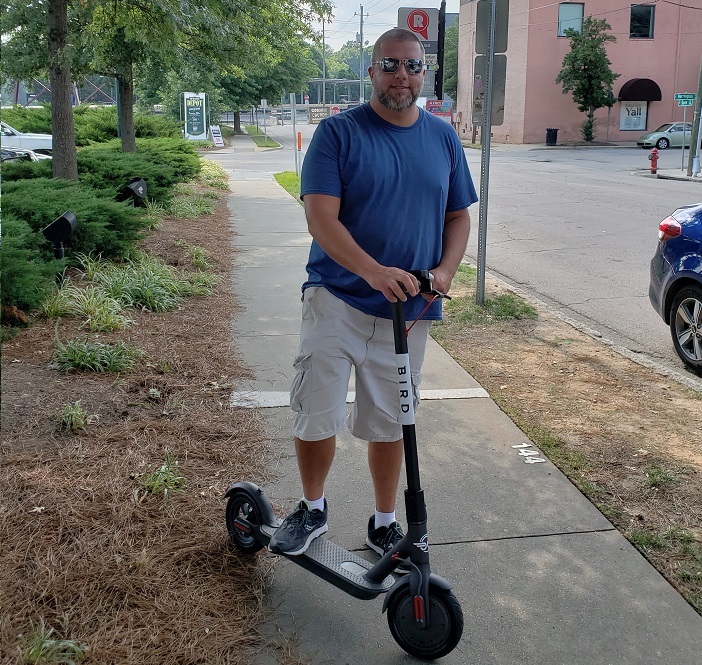 How much does it cost to ride a Bird Scooter in Raleigh? It costs $1 to unlock the scooter and additionally you are charged 15 cents per minute. I rode my scooter around for about 17 minutes and it cost me around $3.50. Are helmets required to ride Bird Scooters in Raleigh? This is not legal advice or life advice. If you ask me, yes, wear a helmet. Wearing a helmet is a great idea. I have yet to see anyone wearing a helmet. The app: When you rent a scooter, you must check off in the app that you have a helmet. Raleigh Police: I drove by several officers while not wearing a helmet and none cared. The Law (for bicyclists): North Carolina State Law does not require helmets for bicyclists over the age of 16. The “Child Bicycle Safety Act”, which went into effect in 2001, requires children under the age of 16 to wear a helmet. But, are “electric scooters” classified as “bicycles”? Office of Transportation Planning for Raleigh, NC: They tweeted me and said “our attorneys have reached the conclusion that these are considered mopeds under state law, which requires a helmet for operation”. They asked me if I’d update this article with this information. I have. I think it’s a great idea and I thank them for the contribution. Are they mopeds? In NC, “mopeds” require license plates. Bird scooters do not have license plates. Some states are classifying them as bikes. I’m not an attorney, but it is appears to be a grey area open for interpretation. The law isn’t clear, nor is it updated for this new mode of transportation. According to an article released today by CBS17, Raleigh leaders are currently determining how to regulate electric scooter sharing. When in doubt, wear a helmet. By using the scooter you agree to do so. If you don’t wear one and hurt yourself you’ll have nobody to blame but yourself. Although I haven’t seen anyone wearing them, it’s a good idea and strongly recommended. Helmets reduce the risk of traumatic brain injury and cracked skulls in the event of a crash. Please note that Bird offers free helmets! As a note to the State of North Carolina: we’re anxiously awaiting clear laws on electric scooters and electric bikes, too (a friend of mine has a bicycle that does 60MPH). How do I rent a Bird Scooter? Android users can get the app via Google Play here, and people with an iPhone can get Bird via the App Store here. Locate a scooter and scan the QR code to unlock it. Using the app, locate a Bird Scooter. Much like Lime, Bird uses Google Maps. When you locate a scooter, you’ll need to scan the QR code on the handle bar to activate it. If it’s your first time riding, you’ll need to enter credit card details. The app will also take a photo of your driver’s license. Bird required riders to be at least 18 years of age and hold a valid driver’s license. How do I get a free Bird Helmet? 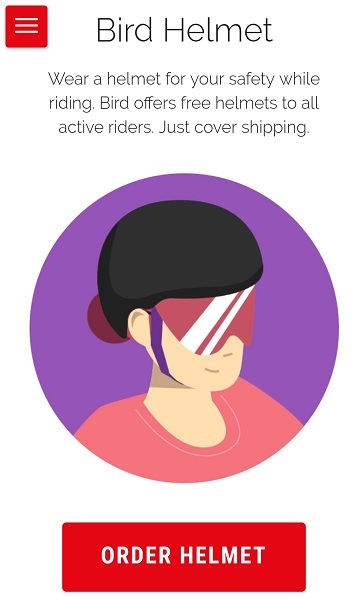 Helmets are available for the price of shipping, which is $1.99. You must order your free helmet in the Bird app. Your helmet is free AFTER your first Bird rental. I just ordered mine! BE prepared to manually enter your credit card information a second time to check out securely within the app. Should I ride the Bird Scooter on the Street or Sidewalk? The Bird app tells rider in The City of Oaks to “Ride in bike lanes when available, and avoid pedestrians on sidewalks”. How fast to Bird scooters go? 15MPH! They go pretty fast. Up small hills I estimate they go about 5MPH, which is a lot faster than walking, and a lot more fun as well. How do Bird’s electric scooters get charged? The e-scooters get charged by “bird watchers” who charge them up and return them to designated areas called “bird nests”. Bird watchers make money by charging the scooters. How can I make money charging bird scooters? Visit Bird’s website here to become a charger. Depending on the difficulty of locating the scooters, you can make $5 – $20 per scooter charge. “The rideshare guy” documented what it’s like to be a “charger”. It was good for him, however once competition picks up some say it is for the birds. How far do the scooters go? You can see how much battery life is left on each e-scooter right in the Bird app. On a full charge, the scooters go up to 15 miles. Where do I park it? What’s dockless? Dockless means there is no designated station to return the scooter to. 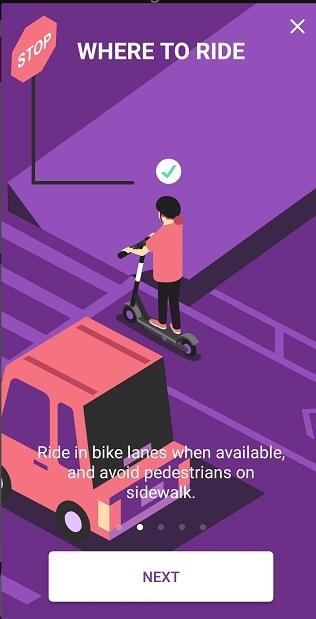 Once you are done riding your scooter, you use the app to end your ride. I’m not sure what happens if your phone runs out of battery life while you’re riding, but if you find out the hard way please let us know below. 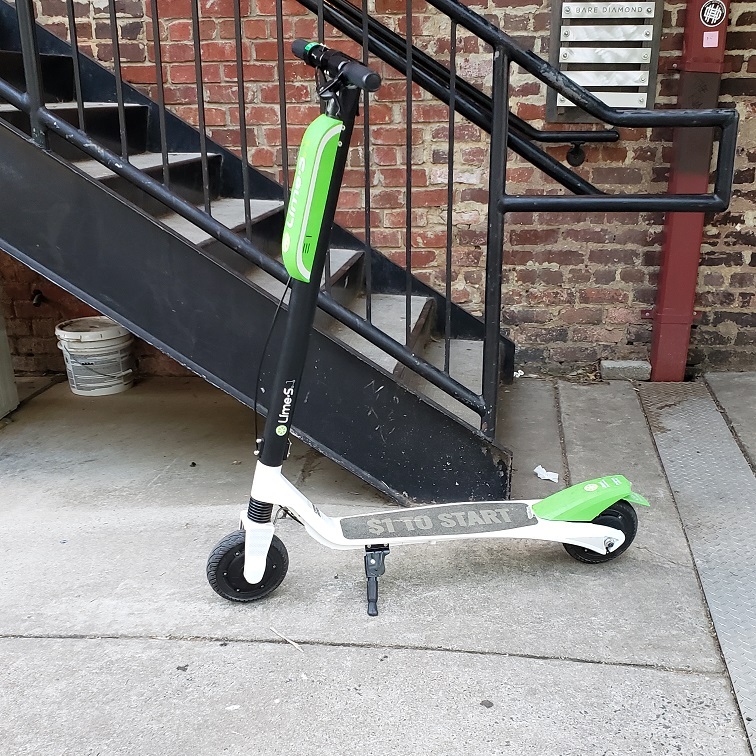 The Bird app encourages users to not leave scooters sitting in the middle of the sidewalk and to park beside a bike rack whenever possible. That depends on how you’re injured. There’s a waiver you sign that places most liability on you. Of course, if you’re following the law and a drunk driver mows you down there are likely several personal injury attorneys who would like to speak with you, and in many cases can actually greatly benefit you if you were injured due to their negligence. Please ask your questions in the comments section below and I’ll do my best to answer them. Also feel free to let us know how much you like or dislike the scooters. What if I steal one? Didn’t your momma tell you not to steal things?! Don’t steal the electric scooters! If you attempt to move a locked scooter without paying for it, it will begin chirping and making all sorts of racket. Besides, they have a GPS unit in them. Even if you manage to defeat the security, you’re only going to be able to make a few bucks by stripping it and selling the batteries on eBay. But don’t do that, you’ll probably get arrested. You’ll make more money by just charging them up and putting them back. If you need a dollar to ride one just let me know and I’ll mail you one. I like them! Are these coming to Durham? What if you can’t get the app? Are you able to rent two on one phone if you’re with a friend that has the app? Len, thanks for writing this article and clarifying information on these electronic scooters. All I see is negative press on them, which is a shame. If we had this mindset in the early 1900’s, we would never have had cars on the road. I think they’re great!